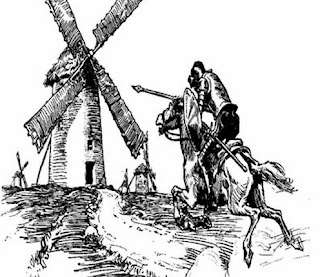 It has just occurred to me that for the first time since I joined the Libertarian Party in 2010, my political cause is not the most forlorn, tilting at windmills cause in the country. This year, we have the Trump supporters who are so in denial about the impact of last Friday's video release that they are willing to go down with the ship that is the Donald J. Trump campaign. Not only that, but they're willing, and in some cases eager, to watch Donald destroy Republicans' chances of holding the Senate as well. That, of course, means the Supreme Court will also go swirling down the plughole. 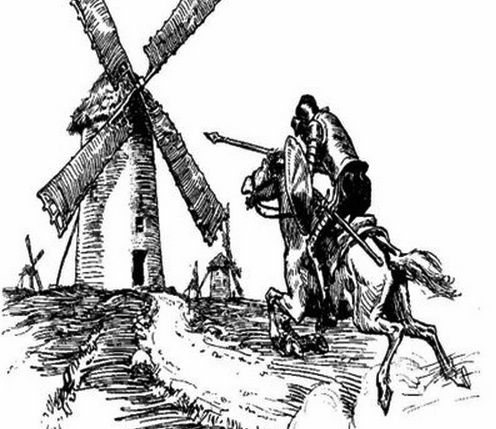 Now I even hear some Democrats starting to whisper about the prospects that the House might be in play, especially with Trump's recent complaints about a betrayal by Paul Ryan and other Republicans. Trump supporters have decided they're OK with simply burning down their party if they can't have Donald in the White House. I suspect they will wake up on the morning of November 9th to discover that their own house has burned down with the rest of the neighborhood. Donald will feel vindicated by that result. To quote a line from The Game of Thrones, "He would see this country burn if he could be king of the ashes." Meanwhile, Libertarians are expected to see our best year ever in terms of vote totals, and voter awareness. Just as the Republican party of Lincoln was born in the ashes of the failed Whig Party in the middle of the 19th century, the Libertarian Party today is poised to rise from the ashes of another faltering party that lost touch with its constituents.